* Fashionable and ready for the city, the Sperry Top-Sider® Sienna will make you the talk of the town. 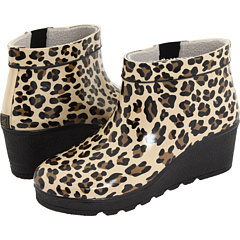 * Waterproof construction that keeps feet dry in wet conditions. * Cushioned micro-fleece lining for added comfort and weather protection. * Non-marking rubber outsole with Wave-Siping™ for ultimate wet/dry traction and grip. In 1935 Paul Sperry invented the world’s first and most enduring boat shoe. Where all other footwear brand have laid claim to every inch of terra firma, from the highest snowcapped peaks to the lowest desert valley, from baseball diamonds to basketball courts, Sperry Top-Sider has flourished by helping all who love the water master the world’s final frontier — the oceans, lakes and streams of Planet Earth.